Man life sure can be tough some times. Amen (I’ll go ahead and credit you that one). Some people have asked me and I could tell some were thinking it but just did not ask – why does God let bad things happen? Some will even ask – why does God let bad things happen to good people? I submit there is a simple answer that is hard for some to believe or even accept. In Genesis 2 God told Adam and Eve to work and watch over the garden of Eden, but not to eat from the tree of knowledge of good and evil. In Genesis 3 we see their disobedience and followed the advice of satan by eating the forbidden fruit. And we assume sin entered earth then. But the more difficult question if you think about it is this – where did that serpent come from? How did satan get to the middle of the garden that God made to tempt humans? If satan had not tempted, then maybe humans would not have sinned and we would be in a much better place. Maybe so. But the fact of the matter, is that God did create all things – even satan himself. Now why on earth would God do that? And even more so why did He allow him here on earth? I think the answer to many of the questions I have asked here can be answered by three words. In Heaven there is no sin. There is no pain. There is no death! There are no wasps, snakes, hornets or skunks. There are no jobs, and our only desire will be God! Man that is heaven! But this earth just ain’t Heaven. Do you see? Do you agree? Here on our 3rd rock from our sun we have a lot of things that make us uncomfortable. And they will always be here on earth. We do however, have a comforter here who is the Holy Spirit. He will guide us and help us in our daily walk – while we inhabit this earthly vessel we call a body. But one day this body will expire for all of us. And when it does – we will all end up in one of two places. Heaven or Hell That choice is ours to make while we are still living and breathing in this earthly vessel. 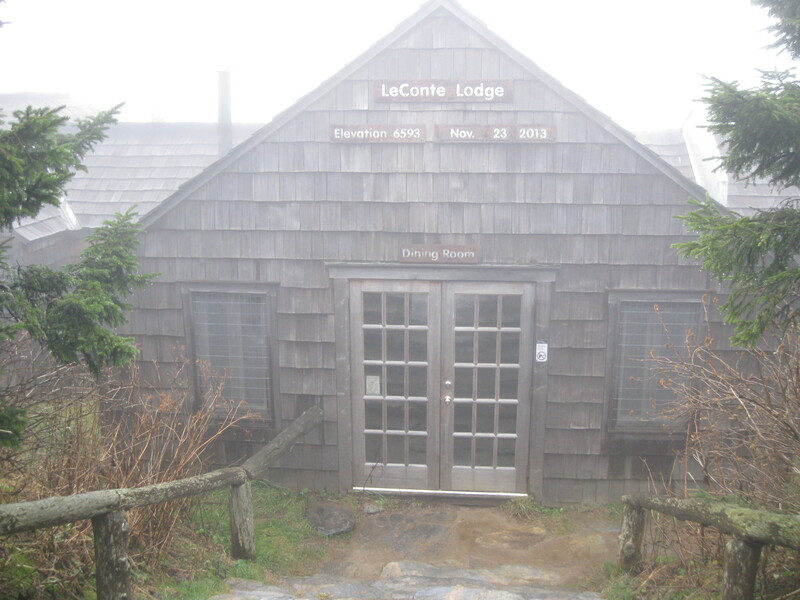 In November my daughter, myself and a few friends hiked to Mount LeConte and stayed the night at the LeConte Lodge in the Great Smoky Mountains. 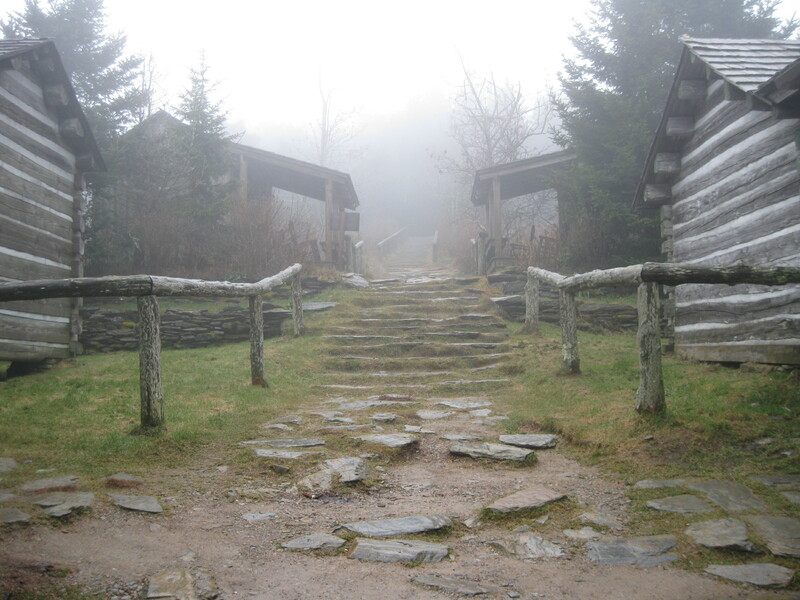 I had never hiked to Mt LeConte and had wanted to hike it for as long as I could remember. Our friends who hike it every year posted they had a couple of openings in one of their cabins and asked if anyone wanted to go on short notice. I jumped at the chance as that was a rare free weekend for me. So there are a few facts I need to let you in on to put this story in perspective. First you need to know that I agreed to go one week before the weekend trip. Yep – one week to prepare for a long hike and overnight stay. Like I said before, I have wanted to hike and stay at LeConte for a very long time, so I eagerly jumped at a chance to go. Secondly I lead a sedentary lifestyle. Exercise to me was a big part of my life at one time, but is not currently something I do regularly. ……..Work, home, eat, sleep and repeat is pretty much my routine. Also know that I am a former member of the 10th Mountain Division in the US Army. I was a commando Infantry light fighter, which meant more than anything we walked just about everywhere we deployed. My job required me to carry a 75 pound rucksack full of food, water, clothes, and mortar gear when we were on maneuvers. We were stationed in the flat lands but were trained mostly to navigate mountains (hence the name 10th Mountain Division). Our unit was designed to go to and fight in places that the normal Army units could not access. We were trained to go no matter how I felt, or how bad the weather was. So I know how to hike and take care of myself. Now given the fact that I was not physically in the best of shape I thought to choose the most gradual incline of the five trails that lead to Mt LeConte. 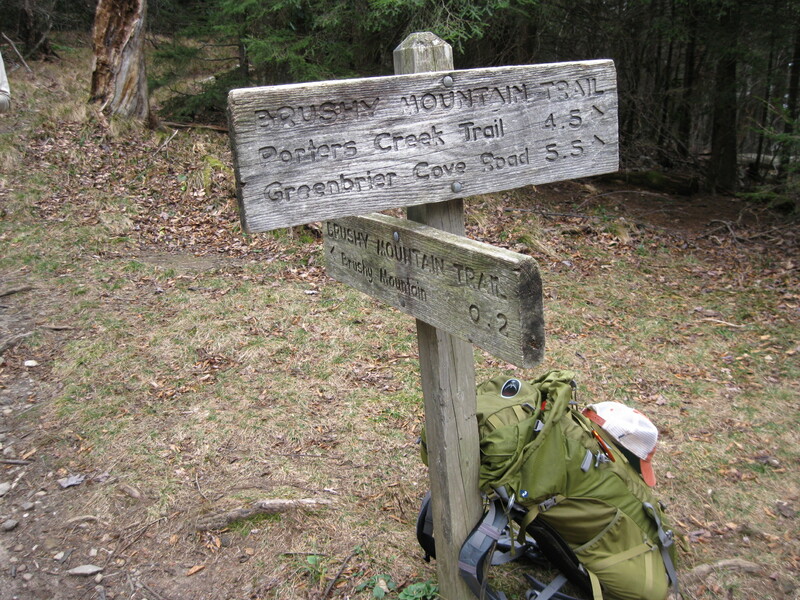 Trillium Gap Trail is a 6.5 mile trail and gains 3,300ft in elevation. From what I had read it gained the least in elevation, so I thought it would be the best on my knees and body. There was twelve of us that hiked together that Friday morning. Before I lost sight of the parking lot I was already winded, and I knew this was going to be a long day. So I kept a pace that was steady, but not really as fast as the others. The first part of the hike was not too bad, but by the time we stopped at the half way point for a snack my knees were already hurting. It wasn’t long after we started the second half that my left knee gave out. So to compensate I used more of the right leg, but I also noticed that I was falling further behind the rest of the gang. 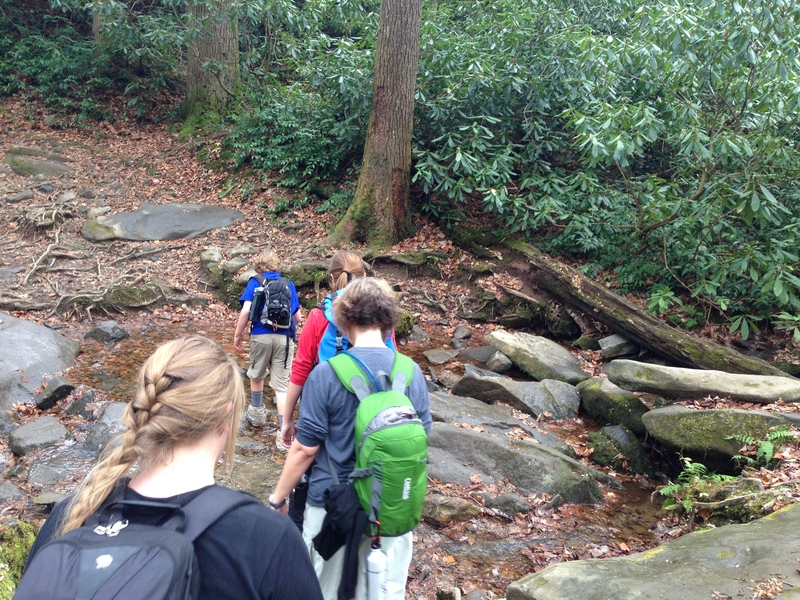 By now the weather was also turning colder with rain becoming more steady, but the mountain trail was beautiful. Then if that were not bad enough I started getting a Charley horse in my calf – actually both calves! I was in pain! Apparently I had not drunk enough water at the beginning of the hike, and it was now showing in these muscle cramps. I could not go 10 minutes until one calf or the other was convulsing in a Charley horse. All I could do was wait for the pain to go away and try to keep slowly hiking. Danielle stayed with me to encourage me to keep me going – she was a trooper. But it was not long until she was getting frustrated with my misery and offered to carry my backpack. Not only are my legs hurting really bad, now my pride is hurting because this 40 something year old man is needing his 20 something year old daughter to carry his pack. But I did concede and let her carry it for a few minutes because I was in so much pain. I look up and the rest of the gang is long gone by now, but our group leader Keenan came back to check on us. He saw the pain I was in and offered to hike on to the top, drop his pack, and come back to help me. I was in no shape to deny the help, so he took off while Danielle and I kept on moving slowly. I tried to keep a positive attitude because I was enjoying the scenery, smells and adventure. I was also thankful that Danielle was keeping such a good attitude through all my trials. I am not sure how long he was gone, but about a half mile out from the top he met us again with a couple of guys with him to help me out. I was about in tears because I needed the help, and these guys had come to assist me. I was totally humbled at that point and glad to let Keenan carry my pack the rest of the way to the cabin. Once we got to the top we met the rest of the hikers along with another group that came up another trail. One of them was a friend Mike who saw what kind of shape I was in and helped me to our cabin. Mike also went to get me some warm hot chocolate from the kitchen to warm me up (LeConte Lodge is famous for their hot chocolate!). Over the next hour as I sat in the cabin resting and trying to figure out just how I was going to walk around on the top of this mountain the rest of the night, Mike would come by every so often to check on me offering anything I would need. Of course, the next morning would be a hike down the mountain with another set of pains to endure. But as I sat there before supper reflecting on the day’s events I was overcome with gratitude and humility. I was totally humbled by my lack of physical ability to hike to the top of the mountain like I thought I could. Thinking back on my experienced days with the 10th Mountain I realized they were close to 25 years ago. My mind was strong, but my body had become weak. I was also overcome with such gratitude for those who helped me especially Danielle, Keenan and Mike. They gave so sacrificially and graciously to my aid that I just could not thank them enough. It reminded me of Joshua fighting in Exodus 17. While Joshua and Israel fought Amalek and his people, Moses would hold up his hands. When his hands were raised Joshua would win, but as soon as he let them down Amalek would win. So Moses had Aaron and Hur help hold his hands up so Joshua and the Israelites could win the battle. Those three helped me win the battle of Mt LeConte against my body. I did victoriously see the mountain top!